Cataracts generally change slowly over many years. Because of this slow progression it may be difficult to appreciate the changes that occur. 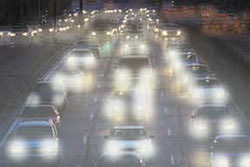 Usually a person adjusts and accommodates to these changes and may not fully realize how much their vision is affected. When these changes first occur it may be only necessary to change your glass prescription. As the cataract worsens changing your glasses will no longer help and cataract surgery is necessary. 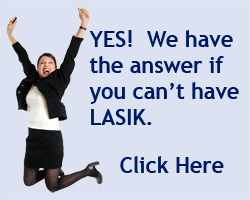 The only way to know if you have a cataract is to have a complete eye exam. Call Dr. Brems and schedule your appointment. Changing the prescription in your eyeglasses may improve vision in the early stages of cataracts. If this measure doesn´t help, cataract surgery is the only effective treatment. Cataract surgery involves removing the cloudy lens and replacing it with a special intraocular lens. This special lens requires no care and becomes a permanent part of your eye. Cataract surgery in one of the most common operations performed in the U.S. today. It is also one of the safest and most effective. After surgery most patients can drive a car and read the newspaper without glasses. Cataract surgery is one of the most successful of all operations. Cataracts can be removed with little discomfort and inconvenience. Not so for Claude Monet, the famed French impressionist. Monet was diagnosed with cataracts in 1912 and he endured for over ten years. During that time, his perception of both color and form was severely compromised. By 1923, he was on the verge of total blindness and he underwent cataract surgery. After surgery he had to lie flat on his back for several days without moving. Sandbags were placed alongside him to prevent any movement. Both eyes were patched closed to prevent eye movements. He had to be restrained so he did not remove his eye bandages. A far cry from today´s virtually painless procedure that is performed on an outpatient basis and people resume their daily activities the same day. As for Monet, his vision was restored and his final years were spent with renewed vigor. The effects of his vision on his work are immediately evident.